This luxury villa is available NOW!! 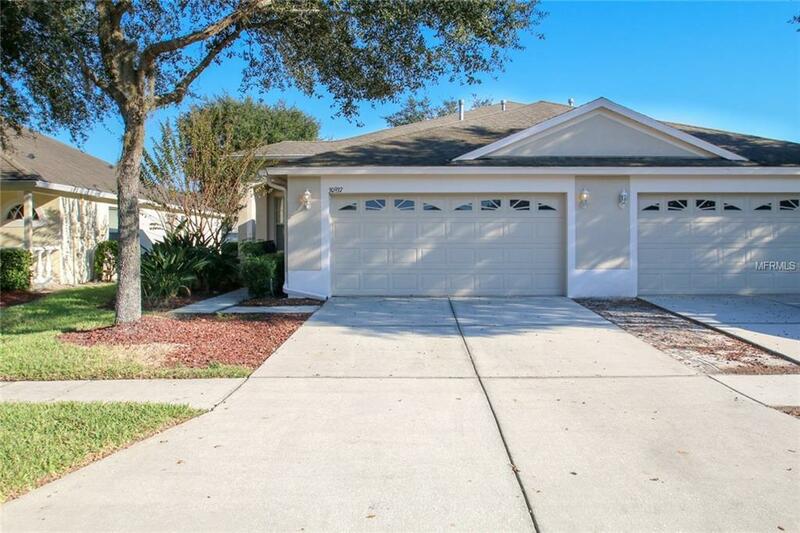 Don't miss the opportunity to own a home in a GATED COMMUNITY in WESLEY CHAPEL - close to excellent schools, plenty of shopping and restaurants - basically everything you need!! AND it's MAINTENANCE FREE!! Vaulted ceilings, granite countertops in the kitchen, a NEW dishwasher, and a screened-in patio! The family room is open and warm, the bedrooms are comfortable, and the master bedroom has a generous walk-in closet! BRAND new carpet installed in the family room, master bedroom and office January 2019. Listing provided courtesy of Fitz Real Estate Services.